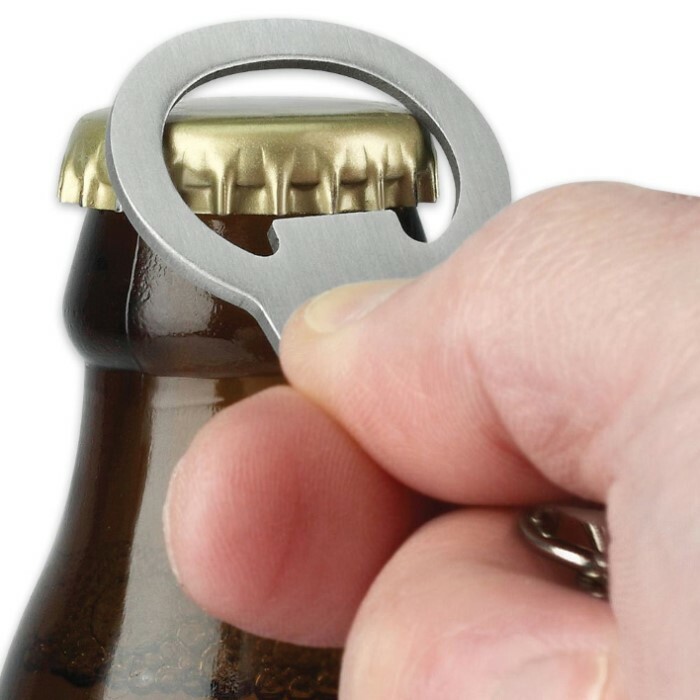 Key Cuffs Bottle Opener | BUDK.com - Knives & Swords At The Lowest Prices! 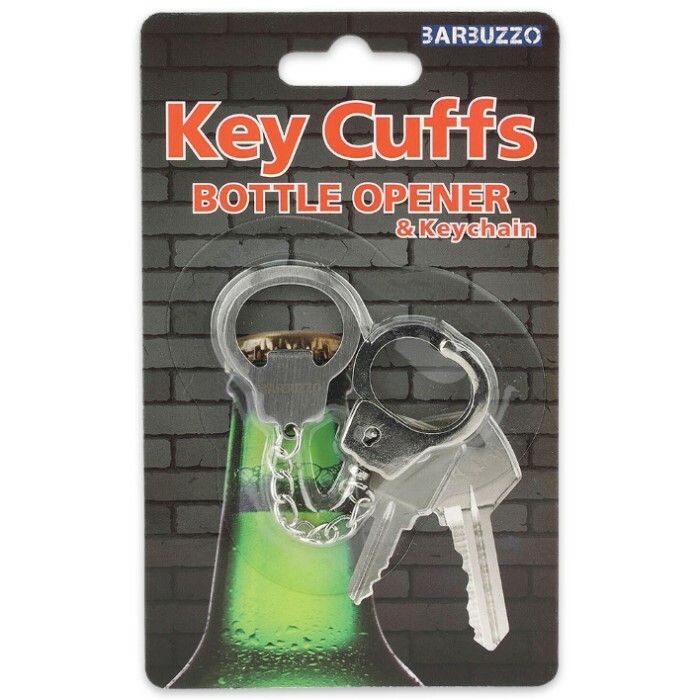 Dimensions: 5 1/2" x1 1/4"
Shackle yourself to your bottle with our Key Cuffs Bottle Opener! These miniature cuffs clip onto your belt loop so they are always handy when you need a cool one. The other side features a bottle opener so you can pop your tops while you chill with the cops! 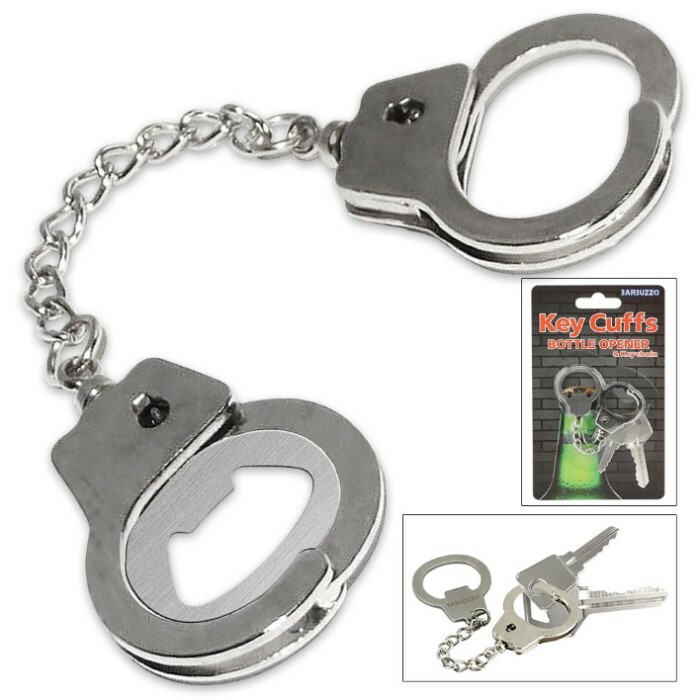 The stainless steel and cast alloy cuffs are great for holding your keys too!